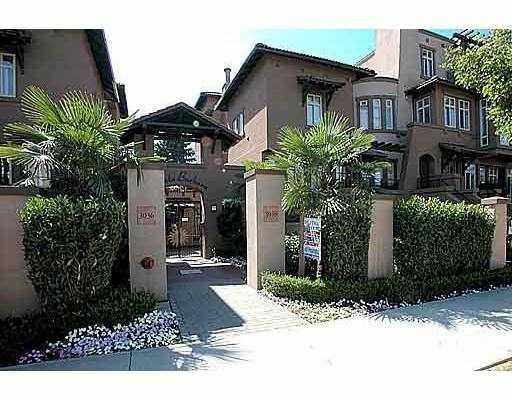 Presenting "The Santa Barbara" in the heart of Kits. A 693 sf north facing 1 bed room & den townhome in a very sought after complex with private entry & large ga rden level patio. This upscale designed open floor plan includes new laminate flooring, breakfast bar, gas fireplace, 1 secured parking & insuite laundry. Spanish Mission-inspired architecture add to the ambience of this charming home. Steps to Kits Beach, parks, shops & cafes.